!!! MEN ARE HARDER TO SHOP FOR THAN WOMAN !!! I know men think it's a tough gift giving world out there for them, and it can be. (Unless they read my Gift Guide *mic drop*) But I think women have a rougher road. The thing we love most about guys (i.e. they aren't women) works AGAINST them. Their manly chillness means they will probably like ANYTHING we give them. BUT what that translates to for the gift giver is TOO MANY CHOICES. TOO MANY OPTIONS. Too many is almost worse than too few. That's where I come in! 1. Tile Phone & Key Finder 4 pack $70. This is legit brilliant. I know many guys (and women for that matter!) who would find this useful. You can attach a Tile to something and locate it using Bluetooth and an app on your phone. And it will make your lost phone ring (even if it's on silent!!) And it will also bring World Peace. JK. It won't do that. But it WILL bring world peace between you and your husband, because now he wont spend 10 minutes looking for his keys while you're trying to leave for church. Just a hypothetical example. The reviews say you can even attach it to the collar of your animal and track them. Obviously this doesn't count for Rénard because when you are a pimp cat from D.C. you CANNOT BE TRACKED, SON. But it's still a cool idea. 2. Sephora Favorites Cologne Sampler $65 This is something I just think every man deserves to have. Similar to the women's perfume sampler, this set has a scent card for him to turn in and get the full size cologne of his choice! It's kind of amazing. I got this for Joel last year, and he smells good at least six days a week now. The set comes in a toiletry bag which is just a nice bonus. These little sample size colognes are great for a gym bag, or for a guy to have in his car for emergencies. You know, for Smell Emergencies?? They're a real thing for dudes. I read about it once. *In a book. * Editor's Note: Name that movie. 3. MVMT Watches $95+ OK so maybe I got this idea from Jordan Rodgers (of JoJo + Jordan), but I actually really like this watch! And remember: wearing a watch is a sign of intelligence! So wearing this watch will make your man smart. Wait HE ALREADY IS. HE CHOSE YOU DIDN'T HE?!?! (ZING! ZANG! ZONG!) This website has a lot of Hot Guy Watches. I truly believe in the concept of HGW. A nice manly watch makes a guy hotter, which is so weird. But it's true. I remember on our first date Joel had on the most gigantic HGW and I was like LET'SGETMARRIEDBYE. Clearly, it worked. 4. Scratch Map $26-$40 Perfect for your world traveler! And who doesn't love the concept of scratch offs? It's a surprise every time! It's like, "Ooooo what's this big scratcher above the United States? Ooooo it's Canadaaaaa! And it's yellowwww!! I did NOT see that coming!" That right there is some good, clean, fun, my friends. If you get this I highly suggest going for the bigger map. It's a really cool thing to display and show friends! 5. Mr. Beer Homebrewing Craft Beer Making Kit $45.90. Let's face it-- doesn't every guy think he's THE "Mr. Beer"? Now he can put his money where his mouth is and prove it! I looked at a lot of beer making kits (research, people.) and this one has the best reviews for the lowest price! Plus look at all the fun things it comes with! The kit makes 16 pints of delicious, delicious nectar of the gods. I enjoy any extra curricular that allows my husband to be HOME with ME. I need LOVE. And ATTENTION. And BEER. But LEZBHONEST, I have no idea how it works. Nor do I particularly care. The point is it's fun and kitchy and perfect for the Mr. Beer in your life! 7. Steve Madden Wingtip Oxford $79.95. Evidently it's my life's goal to dress all of our husbands and boyfriends like Bachelor contestants. First the watch, now the shoes. Next is the weird floppy hair. But alas, I'm OK with this. I just think these are cool because they aren't run of the mill wingtips. The middle part makes them unique. They say, I'm formal but not too formal because look, I've got fabric on my shoes. Every guy needs an informally, formal work shoe. PS I prefer the brown to the black! 9. Sock Club $36 for 3 months. Again, I can't stress enough the fact that people love getting Happy Mail. Even men! Sock of the month club delivers a fresh and funky pair of gentlemen socks to his mailbox every month. I would suggest doing a 3 or 6 month subscription just to make sure he likes them. 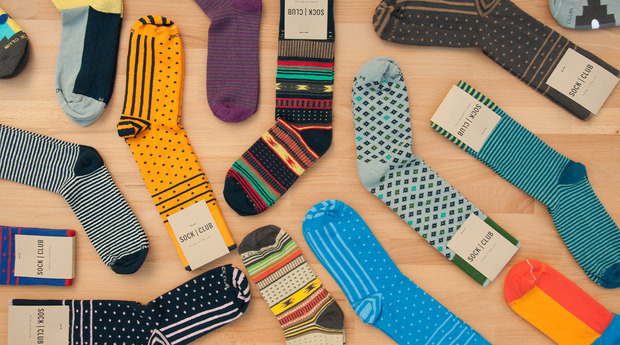 The subscription concept doesn't stop with socks! There are tie clubs, beer clubs, shaving clubs...even Birch Box for men! (Joel already subscribed himself to that. I was like, OK BOO I SEE YOU.) If you choose this I suggest wrapping up a note about the plan, IN some funky socks-- it's all about presentation! 10. Phone Storage Workout Bottle $20. When I came across this bottle I literally stared at it for like 12 minutes. I was like how does this work??? The water and the phone are so close. Yet so far? And you can CONNECT IT TO YOUR HEADPHONES?! And then my brain exploded. I knew it needed to be on Da List. 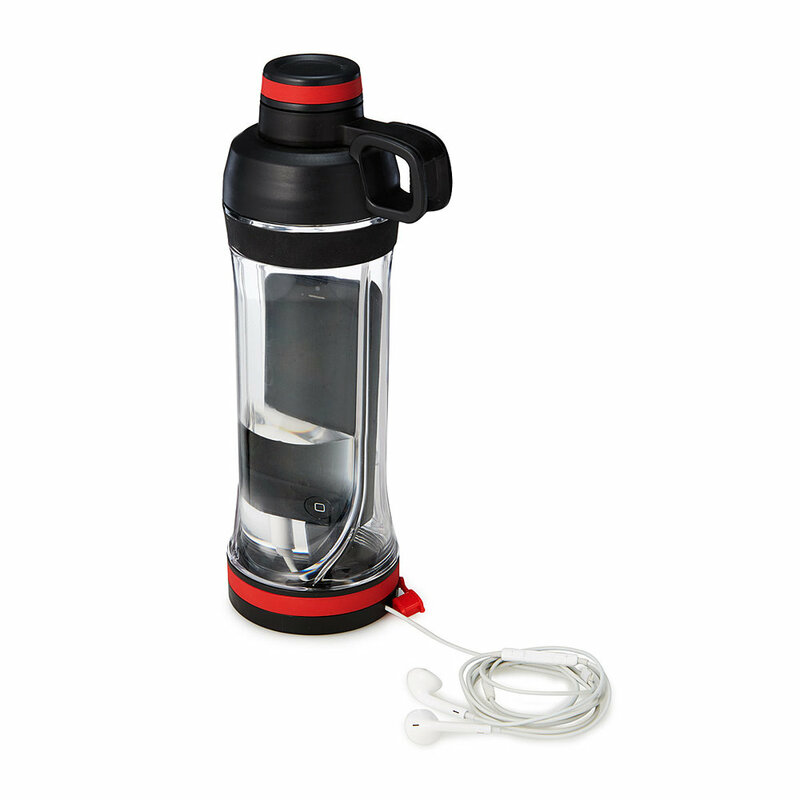 It's a bottle that houses thirst quenching water, but also houses all your necessary stuff. WHAT WILL THEY THINK OF NEXT? I mean honestly. I would like to shake the hand of the NOT-SO-MAD SCIENTISTS who think up shiz like this. It's what I never knew I needed to purchase for all the people. 1. Toaster Grilled Cheese Bags $10. The SCIENTISTS ARE AT IT AGAIN!! Bags that CREATE grilled cheese in your toaster?? I'm literally wiping the tears of joy away as I type this. Someone out there heard our cries for help. Heard and delivered. The bags are coated with Teflon which, BLAH BLAH BLAH *science stuff*, MAKES YOU EASY GRILLED CHEESE. Remember that time I said I wanted to sleep under a blanket of cocktail napkins? Well I've changed my mind. A blanket of grilled cheese bags will keep me warm ALL NIGHT LONG. Get them for SOMEONE because life is WORTH LIVING AGAIN. 2. The Carry On Cocktail Kit $24 First of all this is just plain cute. Sorry, I'm sure no man wants a "cute" gift but thats the only way this can be described. It comes with a mini spoon for crying out loud. There are MANY cocktail kits to choose from too! This is a smart gift for a smart man. Can you imagine if you were out on a date or something and a man pulled a MINI BAR out of his lapel!?!!? At first you'd be surprised. And then you'd be like, "KISS ME, IMBIBER MACGYVER!" Make it a full circle gift by coupling it with some airplane bottles of booze. This is what you call friends helping friends. 3. Aqua Notes 2 pack $7.65. It's a waterproof note pad and pencil that sticks to the wall of your shower. No More Ideas Down The Drain. Get it?! I'm actually slightly offended at the low, low price of these. Aqua notes has provided a lot of laughs for Joel and me in the last year. 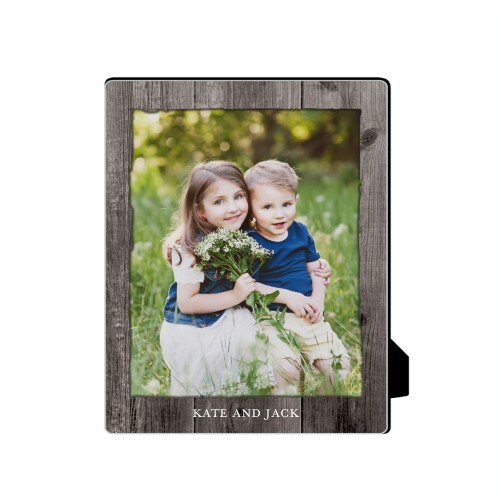 I bought them for him last Christmas sort of thinking, "OMG we will be so cute and we will write each other love notes and surprise each other and WE WILL BE BESTIES FOR THE RESTIES!" So I get it for him, and then I'm the one putting it in the shower (of course), and I write "Hello! I love you!" The next day I check the pad and you know what he wrote back?...... "Who's this?" HE WROTE BACK 'WHO'S THIS' TO MY LOVE PROCLAMATION. HE 'NEW PHONE. WHO DIS? 'ed ME!!! That's when I knew Aqua Notes was going to go south. Now it's exclusively used for riddle writing (from him not me, you monster). Joel literally is The Riddler. And then he forces me to listen to the riddles and the second he says, "OK, babe. This one is pretty easy..." my brain shuts down and just start thinking about skipping down the aisles of Homegoods. Despite this, it's still fun to have Aqua Notes hanging around. It really is true that some of your best thoughts come to you in the shower! Get this for your man and at the very least it has the potential to provide a lot of laughs. That's all, my loves. 13 of the best gifts for men on the internets. You can go home now because I literally broke the internet making that guide. Hopefully it's provided you some ideas! I'll be back next week with my weekend recap, some recipes and a GIVEWAY!!!! In the mean time shoot me an email or comment with what you want to hear about! Home Decor? Holiday Survival Guide? Book review? More of my general ranting? Let me know! Follow me on SNAP (charchar4311) IG (anditwillbelovely) and subscribe at the bottom of this page!